DSD Business Systems, a leading value-added reseller of business management and accounting software, today announced the release of a new Sage 100 software enhancement, called Multi-Bin Management. The Multi-Bin Management solution provides advanced features for warehouse inventory management and is considered to be an easy-to-use, easy-to-install location management solution. DSD Business Systems, a top developer of innovative accounting software modules, collaborated on the creation of this software solution with ScanForce, a leading provider of warehouse and sales automation solutions. The new warehouse management solution provides detailed information of where items are located in the warehouse, which is paramount to managing inventory effectively. 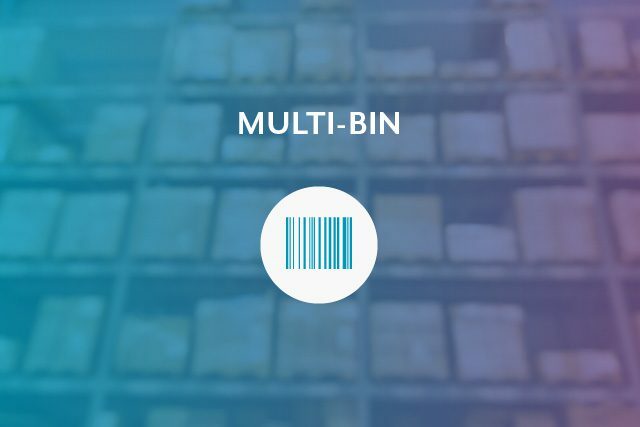 Multi-Bin Management features include Smart Bin Location Number creation, Auto Allocation and ScanForce Allocation of Items to Bins, Dual View Inquiry and Reporting (by Item and by Bin), Quick Bin Transfer, Advanced Picking Sheets and Physical Counts, and Bin Replenishment. In addition to providing accounting and business management software consulting, DSD Business Systems creates specialized software enhancements for Sage 100, such as Multi-Currency, Cash Management and InstaDocs. Headquartered in San Diego, California, with office locations throughout North America, the company has created over 400 enhancements and extended solutions for Sage 100. DSD Business Systems has over 30 nationwide office locations to assist with the implementation of Multi-Bin Management. Founded in 1984, DSD Business Systems is a national award-winning Enterprise Software Solutions Provider. Serving the needs of small- to medium-sized companies, DSD Business Systems specializes in a service-oriented approach to integrating accounting and business management systems. By automating our customers’ business processes, we help growth-oriented companies turn disconnected data into reliable information. DSD Business Systems not only implements ERP systems, but as a Sage Gold Developer Partner of the Year, DSD has developed widely used product enhancements and custom programming expertise. DSD Business Systems has been a Sage President’s Circle award winner for two decades and is perennially recognized by industry media firms as a top performer. For more information, visit www.DSDinc.com.